Dual-purpose cash and check scanners are critical to the success of any retail store. These spaces are subject to all types of theft, but perhaps the most frustrating and underhanded form of burglary is the use of counterfeit currency and invalid checks. When customers make illegitimate payments to your store in exchange for products, your operation is subject to lost profits, financial stress and potential legal issues. 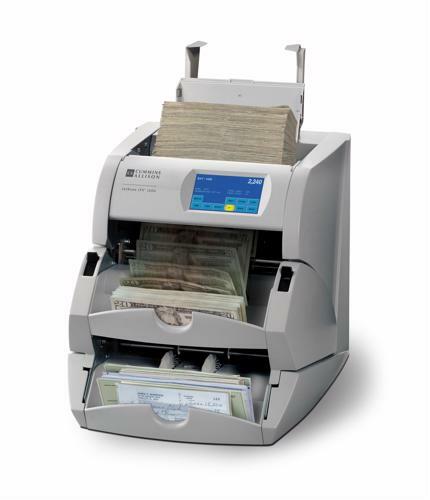 Fortunately, check scanners, among other safeguards, can reduce its risk of accidentally accepting counterfeit capital. Read on to discover some simple yet effective steps you should take to fight fraud. Looking for small blue and red threads - which are used in the making of all U.S. bills - is the first action your staff should take when accepting physical cash. Money Tips noted that experienced counterfeiters try to trick cashiers by printing blue and red threadlike lines on the fake currency they produce, but authentic dollars always contain the real thing. All official U.S. currency contains serial numbers. These figures, according to Forbes magazine, are one area where counterfeiters tend to mess up and where your employees should focus when evaluating a bill's authenticity. The source explained that the color of the government seal, which is printed on all U.S. money, should match a bill's serial number. Additionally, serial numbers are printed with even spacing and alignment on actual cash but are usually formatted more hastily on counterfeit bills. Still having trouble determining whether or not a dollar is authentic? Try holding it up against the real thing. It's difficult to be fooled by even the most convincing piece of fake currency when you're looking at genuine cash. Compare elements like color, design, borders, texture and weight. Money Tips suggested paying extra attention to the portraits that appear on bills, as they're difficult to replicate successfully. Perhaps the most straightforward way to avoid counterfeit bills is by getting a dual-purpose cash and check scanner. Products like the JetScan iFX i100 are equipped with cutting-edge counterfeit detection features, which means they're able to spot even the most sophisticated fake bills. Using analytic software and sensor technology, dual-purpose cash and check scanners can safeguard your retail organization against the omnipresent threat of counterfeit cash. This tool can also provide support for other aspects of retail management, like counting money, archiving checks and processing mixed bills. Accidents happen, which means there's always a chance your staff could unintentionally accept inauthentic currency if you don't already have a dual-purpose cash and check scanner. If this happens, there are a few immediate steps you should take to minimize the negative consequences associated with taking in fake cash. If the customers who gave you fake bills are still in or around your store, the Houston Chronicle recommended keeping them in your sight and acting as if nothing's wrong. Try striking up a casual conversation with them while a member of your staff thoroughly examines the bills. If you determine the money could be fake, try to keep the shopper around long enough for the authorities to arrive. In many cases, however, you'll spot the fake cash well after its spender has long disappeared. In these instances, the source suggested not touching the bills any more than necessary - place them in an envelope as soon as possible. Try to write down any details you may remember about who spent the money, as well as the reasons you believe the currency is fake. Call your local police and provide them with the evidence.